If you have a microflock—meaning an exceptionally small flock of three to five hens—you have to be selective with your breed choices if you want to be able to gather enough eggs to supply your family. Some towns tightly restricts on the number of hens you can keep to just three or five, so you need the best layers you can find for your little flock. Commonly, these “high production” choices will be the RIR, the white leghorn, and/or various hybrid production reds (such as the Golden Buff/Red Star). With three young hens from the above breeds in your microflock, you can usually expect 15 to 21 eggs per week in the laying season—plenty for a family (if the family is small). You won’t go wrong with those choices! But what if you’re interested in keeping some less common pet chicken breeds in your microflock? At My Pet Chicken, we find our customers often want to explore some unusual varieties. They want a mix of colors and personalities in their flock. They like unusual and beautiful plumage patterns, including stripes, spots and lacing. They want fancy feathering, like beards, crests and feathered legs. They want people to see the birds in their flock and be astounded at the varieties of chicken available. The problem is that sometimes the unusual varieties don’t lay so well. 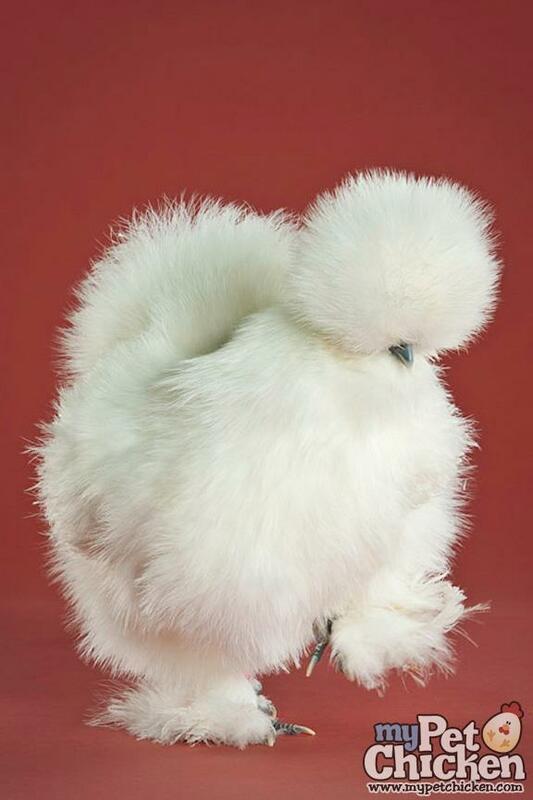 For example, Silkies—they are fabulous! But their eggs are quite small, and even though they lay relatively well when they’re laying, they go broody so often that they don’t usually lay a huge number of eggs per year. If you keep a flock of three silkies, it may satisfy your desire for adorable pet chickens, but it may not entirely satisfy your desire for eggs. Silkies may be great pets, but they’re not especially productive layers because they’re so broody. If egg production is a concern, a silkie probably won’t be a good choice for a microflock. Polish are similar. I mean–WOW!–look at them! With their cool top knots, they hardly look like chickens. They’re more like lawn decorations, with incredibly beautiful plumage patterns and huge crests. But, if you can only keep a few chickens—and if you also want lots of eggs—you may find yourself disappointed, since they don’t lay very well and their eggs are small. If you kept a flock of three young Polish, you’re likely to get less than a dozen eggs a week. Considerably less. They are fun additions to a larger flock of egg layers, but if you can only keep three pet chickens—and if you want eggs as well—you want chickens that are not only unusual, but also productive. When the number of chickens you keep IS tightly restricted, it is possible keep something other than leghorns, Rhode Island Reds and other common stand-bys, and still have eggs! Here’s a list of unusual—yet productive—breeds to consider for a microflock. Be sure to follow the links below for photos and more information about each breed. Plymouth Rock – The Barred Plymouth Rock is an heirloom favorite. They produce nearly as well as the Rhode Island Red, and have a similar, friendly personality, but their back-and-white striped plumage is far more striking than the plain red of the RIRs. Also consider other plumages of Plymouth Rock, such as the Partridge or Silver Penciled. Sussex – The Speckled Sussex is another heirloom favorite. These extraordinarily friendly birds are a particular favorite of My Pet Chicken employees, who seem to have had more than their fair share of exceptionally affectionate speckled hens. Joyce had Lenore, for example, and I myself had Hildy. Speckled Sussex are great foragers with beautiful plumage, and in addition to being generally calm, friendly birds, they’re fabulous layers, too–and even lay well in winter. Faverolles – Salmon Faverolles have beautiful plumage, mostly white with white laced salmon feathers on their heads and backs. They also have fancy feathering, including feathered legs and beards. They lay very well, and also forage well. Since they tend to be submissive and fall at the bottom of the pecking order, they don’t always do well in a small mixed flock. But if you want a small flock of an unusual and beautiful chicken breed, you couldn’t do much better than keeping a flock of Faverolles. Dominique – The Dominique is an American heirtage breed with plumage similar to the Barred Plymouth Rock, but the Dominique’s small comb means they are less susceptible to frostbite. They are good layers of brown eggs. They also tend to be more economical to feed than many backyard breeds, not only because of their relatively small size, but also because they forage extremely well. Our Dominiqies in particular seem to be customer favorites—we must have a particuarly friendly line, based on feedback from our customers, at least! Welsummer – Welsummers are lovely hens, with warm brown plumage with a hint of flame coloring around their necks. They’re friendly and wonderful foragers, but the really unusual and interesting thing about them is that they lay a productive number of beautiful dark brown, terracotta eggs. Not only that, their eggs are often speckled. Wellie eggs are a standout in the egg carton, and fun to show off to family and friends. 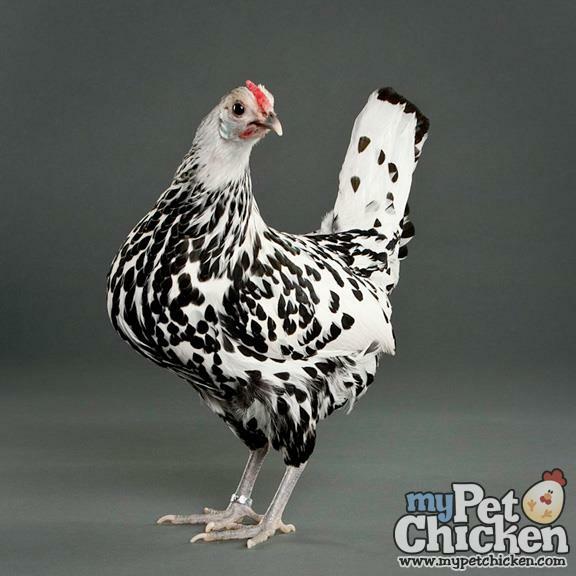 Wyandotte – Wyandottes with laced feathers have an absolutely stunning appearance. 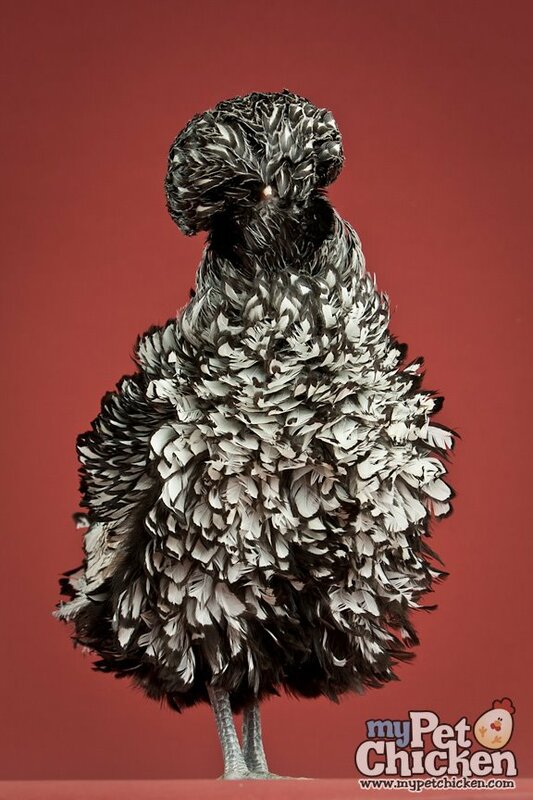 Each feather is trimmed in a contrasting color, making it look as if they’re dressed in dragon scales. They’re calm around people, and are very good layers of brown eggs. What’s more, they’re also quite cold hardy, and continue to lay relatively well during the winter. Hamburg – The Hamburg lays prolific quantities of small white eggs. This breed may not be the best choice for everyone: like leghorns, Hamburgs are not known for friendliness, and they tend to need a lot of space. They are also good flyers, so they can be hard to keep contained! Nonetheless, if you do have room, Hamburgs can make a beautiful addition to your backyard flock, because they eat little, forage extremely well, and lay plenty. If you were considering Leghorns, you might want to consider Hamburgs instead. Many of you may be wondering why I haven’t included Easter Eggers on my list of good choices for a microflock. I admit I waffled on this, but finally decided against it. Easter Eggers are beautiful and friendly, they have fancy feathered beards, and another bonus is that their eggs can be shades of blue and green, which is often stunning to people who’ve never seen the amazing colors chicken eggs can be. But Easter Eggers are notoriously bad winter layers. Plenty of microflocks do include Easter Eggers, but before settling on this choice, be sure to consider whether or not the poor winter laying will be a problem for you. What breeds would you recommend for a microflock–do you think I should have included Easter Eggers, or do you have any other suggestions? Please share your thoughts in the comments for the benefit of those trying to plan their first microflock. I have 4 wyandottes and one easter egger (who lays light brown eggs?!) and I have to say the wyandottes are so hardy, no problems in the heat or cold and they just get pluckier when the weather is adverse. My easter egger on the other hand is a prima donna. She’s all white and complains when the temperature is anywhere outside of 50-70 degrees. She always looks dejected when it rains or snows and she is a terrible forager. However, my easter egger is the only one that regularly lets me pick her up and carry her around and will follow me around. She’s so friendly to humans, not so much to the other chickens. I keep joking that she’s destined to be a house chicken. Disappointed you left out a somewhat rare heirloom chicken off of the list, the Delaware. The Delaware is a reliable producer in a variety of temperatures and is friendly and docile to boot. Australorps are also a major omission, given their prolific egg-laying ability and reputation as outgoing and affable birds. I see what you’re saying–Delawares and Australorps are both great layers and are less common than the Leghorns, RIR and production reds. The reason I didn’t include the Australorp was because they are rather boring looking. Of course, that’s my own subjective opinion. The black color can actually be lovely in the sunlight–iridescent! But I finally decided that they weren’t unusual looking enough to include. I’m kicking myself over the Delaware, though. 🙂 Narrowing down to seven was hard! My original target was to have a list of the top five, hahaha. IMHO Black Australorp is an excellent breed to consider. Friendly, quiet, great egg layer of brown eggs, winter hardy and have beautiful soft feathering of black with a green sheen. Their large round dark eyes are very soulful. Well… I just (10weeks ago) got 7 easter eggers for the benefits you’ve mentioned; but this was the first time I’ve read anywhere about their “notoriously bad winter” laying habits. I have 6 Red Stars already who have produced daily over the past year. In the winter I provide artificial light to extend their “daylight” hours. Any other recommendations to encourage winter laying consistency? Paul, I personally don’t recommend adding light to the coop in the winter. You can read my blog post on that subject here: Why I don’t add light to the coop. The best thing to do is to choose breeds that tend to lay well all year, and make sure they have a good diet and stay relatively stress free. If you live in the south, you may not see as many issues with a lack of winter laying in Easter Eggers, though. The days are longer in the southern winter. Also, the first year you have them, they may well lay all winter. Don’t worry too much, or regret! Easter Eggers are really a joy to have around. I have a Red Star a black Australorp a Plymouth Rock and an Easter Egger. We average 3 eggs a day. Love all 4 of them …great for a small backyard flock! I really like my Australorp. She’s super hardy, she was attacked by a puppy we adopted 2x, once she nearly died, and she was laying again 2 days later and walking around like nothing happened (PS. the dog is now 2 and has learned to leave the chicks alone). She is my most docile chicken and when she’s laying, she’s my best layer. The only thing about her that I don’t like is that she goes broody a lot. In 2 years she’s gone broody almost 10 times and it’s really hard to break her from it. She stops laying completely for days, even weeks, and rips out her feathers and looks so ugly. I’ve done all the things I’ve read about, even the extreme ones like putting her in a crate alone overnight and holding her in a bucket of iced water, nothing works. Now I just have to keep pushing her out of the laying box and give lots of treats to encourage her to stay outside and just wait it out. Not sure I would do Australorps again. Renata, that’s a good point. I’ve never personally kept Australorps, but I do understand they can be quite broody. That’s actually what kept me from recommending Marans: they’re SO broody. In a small flock, if you have a hen that is broody two or three months out of the year, it can be a real problem. In my larger flock, it’s fine… or maybe half annoying and half endearing. If I only had three hens and I was dying for more eggs, though, I would find it very frustrating! Totally agree on most of this. I have 5 (limited by ordinance) year-old hens: Dominique, Golden-Laced Wyandotte, Partridge Rock, Golden Comet and Ameraucana. I get on average 5 eggs every other day (some days 2, some 3, some 4). My Dominique is and always has been the friendliest–she is our lap chicken. Contrary to conventional wisdom, my Ameraucana laid brilliantly all winter long–perhaps even more steadily than the others–and rarely misses a day. Wish I could have one of each of the breeds you list, though! Rochelle, my Ameraucanas do seem to lay more consistently through the winter than my Easter Eggers do. Next time I order chickens, I need to get Dominiques. I always want them, and then I always change my mind and get another breed at the last minute. What’s wrong with me??!!! I hear such good things about them from our customers. I have some of the birds you mentioned and I was so glad to see you mention the Leghorns. I’ve read some bad press on them now and then, about being flighty and not so docile, but I’ve not found that to be true at all. My 2 girls are the calmest and most child friendly hens we have. The grandkids drag them around like puppies! And you are right: they lay all year long. I might add tho, that if you want some visual variety, to try the Exchequer Leghorns. They are beautiful “Dalmations” of the chicken world! Black and white splotched, and each one a different pattern. Then top it off with those red combs and yellow feet! They are lovely! And if the info is correct, they lay just as good as the white. I do love my Barred Rocks and RIR’s too. My first roo is a RIR, and now I have an Exchequer roo as well. But then I love them all, right down to my one Dark Cornish Game girl, that my grandson named Raggity lol! Egg production was always secondary to my love of just having and watching them! And thanks again for all your valuable info! Tierney, our owner Traci feels the same way as you do about Leghorns! Read about it in her blog post here: Leghorns get a bum rap. Exchecquer leghorns really are quite lovely, you’re right. I don’t have any chickens… yet… but have already decided that when I finally can keep some chickens they will be barred rock bantams… here’s hoping that they have the same reputation as their larger cousins mentioned here! We had a small flock of Easter Eggers – every one of them laid well all winter (of course they are the most spoiled chickens on the planet). We like them so much that we got a few more. We now have 9. I’d like something different but they are so cute and friendly! My one lonely EE did take about a month off last fall/winter but has more than made up for it since late December. Last month alone she only skipped two days all month! 29 eggs in 31 days. I must have the Wyandotte that is the exception that proves the rule. She went into her first molt last year and never regrew her feathers. She hasn’t laid an egg since she started her molt. Not very friendly either. She’s going in the pot soon as it gets a bit cooler here and life slowes up for a minute. I pored over the different breeds before making my selections. I ended up selecting a Golden Buff, a Black Copper Marans and an Easter Egger. The chickens needed to be friendly and I wanted a colorful egg basket (with at least 1 great layer). My girls are now 11 weeks old and are so fun and will run after me with or without a treat bag in hand. They are certainly friendly and curious and will just walk over to me to hang out. I can’t wait until they start laying, but even without the eggs, they’ve been a blast to have so far. I have a fantastic BCM (black copper marans) that lays beautiful dark brown eggs. She lays over what this site says the standard is. I have been getting 5 or 6 eggs a week from her. They are beautiful, but then again I think black Australops are beautiful as well! I don’t have a microflock, I have a megaflock of over 5o girls! My BCM has never gone broody. I also have 2 BLCM (blue copper marans) and a BSM (blue splash marans) that are still pullets, not yet laying but already beautiful to look at. I believe that if you handle any breed when they are chicks they are more proned to be docile and friendly. Also I have a exchequer leghorn and she is so pretty. With a large flock i don’t have to care so much about ONLY prolific layers but for the people not so lucky, I would without a doubt recommend adding 1 or 2 marans. Don’t forget the Buff Orpington. I have had them for several years including in a small urban coop. They lay plenty for a small family and the girls are calm and sweet and they are the most pretty shade of tans and light browns. They get along with other breeds well and the addition of an older BO hen seemed to calm a rather flighty Barred Rock we had. They are a bit heavier but did really well on kitchen scraps especially the greens. Oh, and I dont have a microflock, I have 55 hens and 30 chicklets right now with a couple roosters. I also Love the Black Australorpes…they are sweet and lay well. Although they do seem to drop a little in the winter here. Love my speckled sussex and bantie cochins. Specks are friendly, good layers and winter hardy. Banities are fickle, flighty, broody and great bug hunters. About to add Chanteclers to the mix. My Easter Egger lays pretty well in the winter months here in Ohio. However, she is smarter than the average chicken, so you have to be on your toes. She started escaping pens the second she was able to “fly.” She wants to be with you and isn’t particularly friendly with other hens–especially the two whimpy Polish ones. The Cuckoo Maran lays wonderfully, but she also has a little more intellect than you might want in the back yard. The Appenzeller hen is a bit noisy, but she lays well, though not large eggs. The big eggs come from my Partridge Cochin, the two other cochin and my Buff Brahma. I only have nine hens. Come read my blog for some of there adventures! There is an index in the upper right-hand corner to get to the Chicken section. I have two hens that are laying right now, a speckeled sussex and a cinnanmon queen (RIR roo x silver laced wyandotte hen). I would be hesitant to recommend the speckled sussex, even though she lays regularly, because the eggs do not crack well due to a tough shell membrane. Is this something you have heard back about this breed from the strain you carry? (She was from another hatchery.) I know the membrane issue must be genetic because the cinnanmon queen’s eggs are perfectly easy to crack open. Although the cinnaon queen cross was a chance occurance I got from a broody hen last summer, I am thoroughly impressed by this hybrid. An egg every day. She is the RIR color with just a hint of the blacked laced pattern thoughout, little narrow black chevrons. We have three RIR (love them! ), an Australorp, and a Dark Cornish. The DC has been a surprisingly prolific layer as well as a beautiful girl. I love my Buffs and Easter eggers. They are friendly and love to be be held. Kim, sometimes a very large crest can obscure their vision. If you’re not showing your silkie at a poultry show, you can CAREFULLY trim crest feathers back a little. It doesn’t need to be much; just enough so she can see. It’s best to have a partner to help, because you don’t want a sudden head movement on the part of your silkie to cause an injury to her eye. This will need to be done only about once a year, after she has molted in her new feathers. Make sure you’re trimming only mature feathers that have stopped growing, since feathers that are still growing in can bleed if they are trimmed back too far. (i carry defensive plastic rake), or so intently watching me all of the time. A Blue, turned out Splash Ameraucana, the Blue hen lays 4 or so days a week, very independent, wants nothing of humans and low on pecking order. 2 Australorps, beautiful, love their faces, lay 5-6 days a week, one just went broody, in a crate right now, making a nest in it! very afraid of me, the other is so mean i threaten to eat her daily, she would peck another to death if given the chance. Welsummer, great, biggest eggs of the lot, eats from my hand, begs, but is low man on pecking order along with Buff Brahma, 4 eggs a week, Wyandottes, 2 regular layers, will come for treats but standoffish, silverlaced is #1 girl, fair, not aggressive, Speckled Sussex, love this girl, but along with Buff Orpinton, she will be fat, treats are their middle name, they both lay well but i think the heat is affecting most of them, that or foraging, some forget to go back to coop to lay! last two are the Dominiques, one with wrong comb but she is a hoot, never ever stops talking, mostly she is asking, begging, insisting for a treat, greens, food, food… small birds, never stop running around but bad girls, not afraid to be far from rooster, drives him crazy trying to find them. they were my first layers, started at started at 4 1/2 months, 4-5 a week from both of them, smallest girls, smallest eggs, medium, but big yolks! same size of all the others! very happy with their diversity, egg laying, we’ll see what happens in winter but here in NC winters are mild, it is summer I worry about, fan went in coop last week, ice is next………. There’s such beautiful chickens these days . However if u can only keep a few for eggs u really need to consider Golden Comets. I have 6 and they are so sweet and calm . They lay all winter and almost every day I get 6 eggs. They are nice large brown eggs. Wow can’t help but be disappointed in the fact you left out Naked Necks! If interesting is your thing these are that and friendly adorable personalities! Does come in bantam verities but they can be BIG birds, don’t go broody, and lay well year round. Plus they are great layers of extra large eggs!! You’re right–they would have been great to include! They’re very unusual looking, and also have a reputation for being calm and friendly. D’oh! I have started raising chickens and started to have a rat problem. I heard that I should watch out for my feed and make it hard for any rodents to get to the feed. I have looked at chicken feeders that are rat resistant. Anyone out there that has any links to a good rat proof chicken feeder? I will be ordering as soon as I can so if you know of any please reply to this. I will be watching but need to know in a few days if possible. You can see our advice for that right here on our website: What do I need to know about rats if I keep chickens? Chances are they’re just not quite mature, yet. Most backyard breed start laying at around 6 months old; yours are right around that age. Starting them early on layer feed may well have delayed them a little. Generally layer is lower protein than grower or developer, so they may have grown a little more slowly than otherwise. Remember, they don’t need all that calcium, yet, either. My advice would be to switch back to grower or developer until they start laying. You can also browse “not laying” topics of the Chicken Help section of our website to see if there’s some other issue going on… but my guess is that, at that age, they just haven’t started, yet. Does anyone have a pic of an adult Exchecquer leghorn they could post? They sound like they are quite beautiful…. Beth, here is a link to a Google Image search for this breed: Exchecquer Leghorn photos. Thanks! Great pics! I didn’t like the idea of having some white eggs in my egg basket but these birds are so gorgeous its very tempting. My just have to have some of these…hahaha….. This is funny because my EE is names Waffles! Had Easter Eggers been included on this list, all 4 of our breed choices would be represented. We can have 4 chickens in our area, and we chose Welsummer, Speckled Sussex, Partridge Plymouth Rock, and Easter Egger. It’s fascinating to watch them grow up a little differently, and to see their different personalities emerge. What full sized breed (good layer) is most likely to get along with little bantams? I want both, but I’m concerned about bullying. What bantam breed lays the largest eggs (for their size)? Do bantams tear up the yard to a lesser extent than larger hens? Are bantams good at eating bugs?